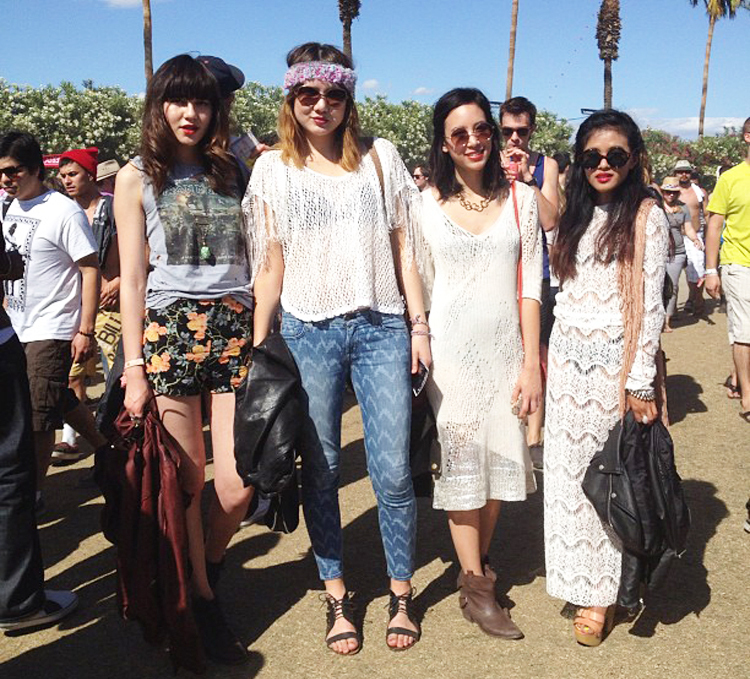 A couple shots from our weekend at Coachella. Olivia pictured above in the lace Elaine available here. Send us a photo of you wearing your AGAIN crop top at the festival and we will send you something back!